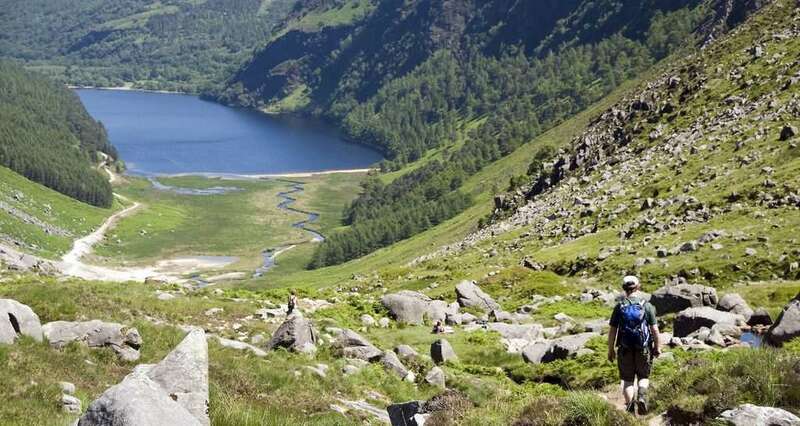 The Wicklow Way is central to Ireland’s Ancient East and is one of Ireland’s top destinations for hillwalking and outdoor enthusiasts. 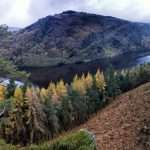 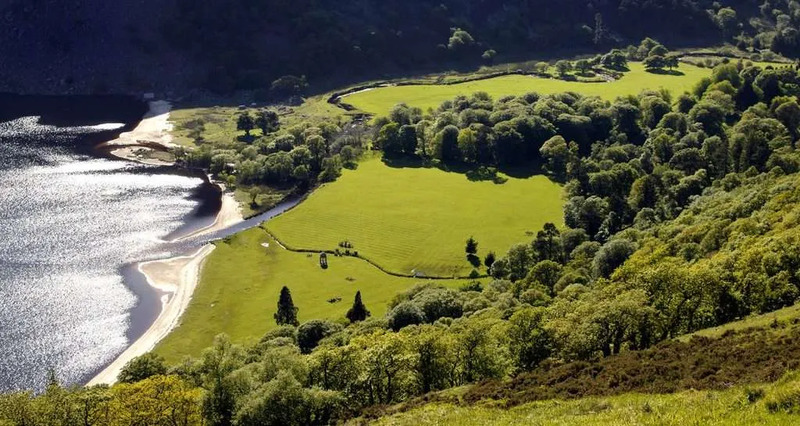 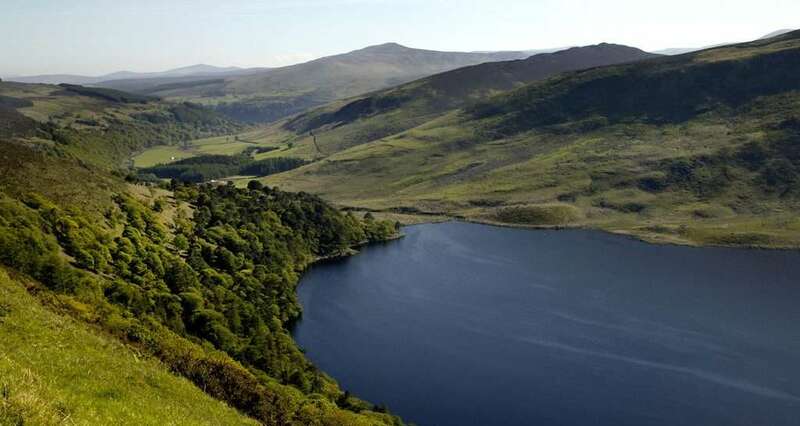 Probably because Wicklow’s landscape is unique; rolling mountains, steep-sided glacial valleys, fast flowing mountain streams, heather clad hills, hidden upland lakes and sandy beaches, etc.. 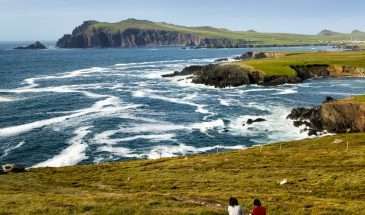 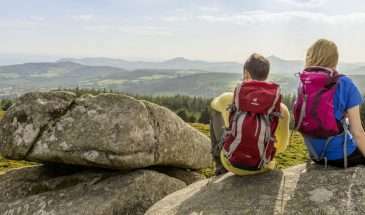 This 10-day walking holiday can easily be adjusted, and indeed improved, by considering an extra night, or two. 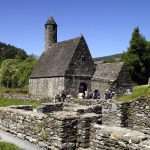 Option 1: An extra day in Glendalough to take some time to explore the monastic site and great looped walks. 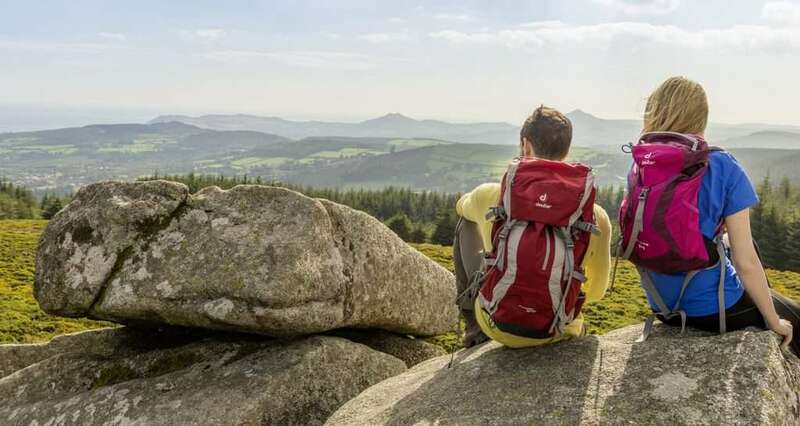 Option 2: Extend your stay, at start or finish, to explore Dublin city. 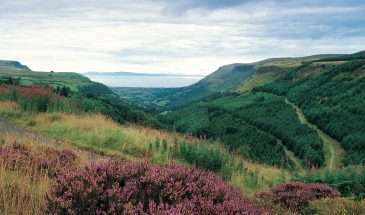 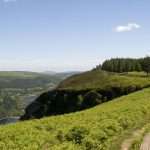 Note: Our walking holiday’s on the Wicklow Way run from south to north to allow a gradual start before the walks become more challenging. 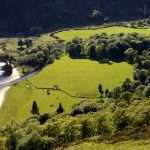 Should you prefer, however, we are happy to organise it from north to south. 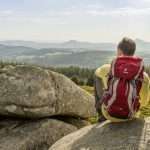 You will take public transport to your first accommodation in the area of Bunclody / Clonegal. 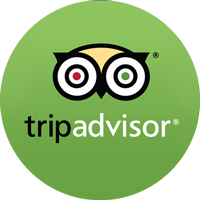 We will gladly provide you with advice and details of public transport and private transfer options. 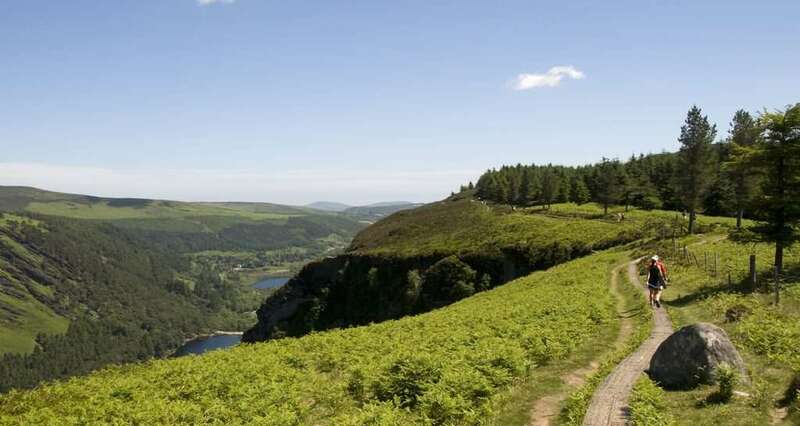 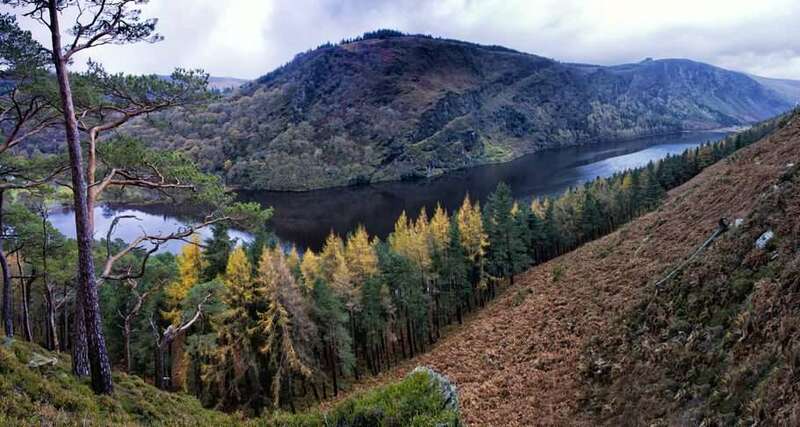 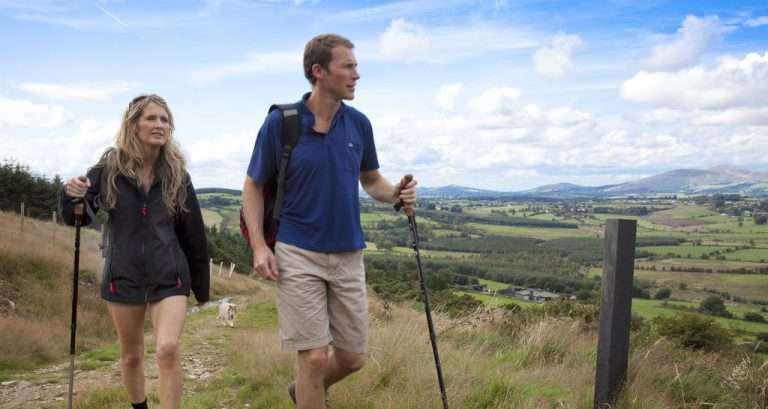 On your first day Hiking the Wicklow way you follow the trail along quiet back-country roads and forestry lanes. 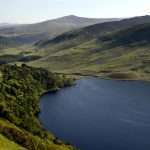 Your accommodation for the 2nd night is in the 17th-century village of Shillelagh which lends its name to the Black-Hawthorne fighting stick “The Shillelagh.”Walking details: Distance 21 km / Duration 4.5 – 5.5 hrs / Climb (↑) 280m / Backcountry roads and forest tracks. 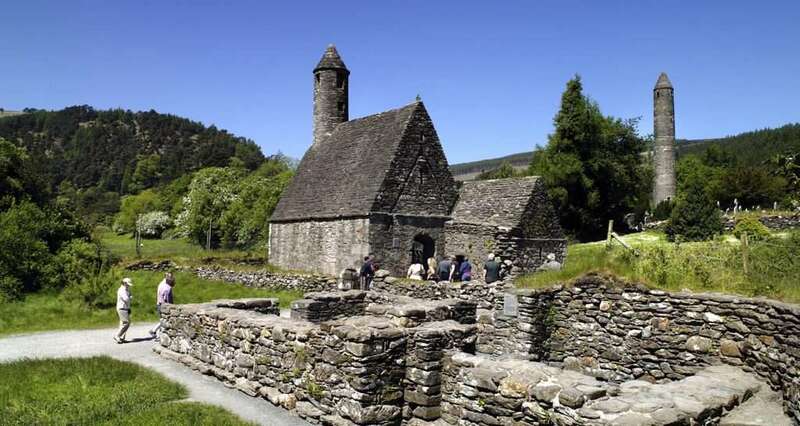 Continuing along quiet country lanes, you will pass St. Finian’s Church into Muskeagh Woods and along an old boreen to your accommodation outside Tinahely Village.Walking details: Distance 15 km / Duration 4.5 – 5.5 hrs / Climb (↑) 200m / Backcountry roads and forest tracks. 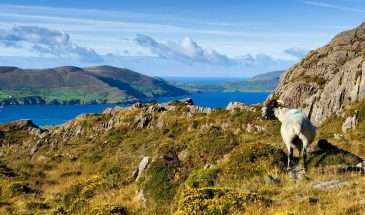 After breakfast commence your homeward journey.